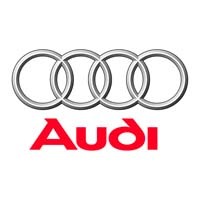 Whether for your own pride and joy or a fleet of company cars, or tailored Audi car mats offer an elegant and hardwearing solution to the problem of protecting and maintaining the carpets and footwells of your vehicle without losing style points. Manufactured in the UK and covered under warranty, our car mats are cut from the original manufacturer’s templates to ensure a perfect fit, whichever model you are buying for. Supplied with all the fixings, waterproof and fire resistant, they are also fully customisable and are available in a range of colours. Choose one of our logos or let us design a custom one for you. Whichever style and colour of edge trim you select, you can be sure of protecting your Audi without compromising on style.